Liverpool boasts over eighty active visual arts venues across the city and Merseyside from well-known institutions like Tate Liverpool, Walker Art Gallery and The Bluecoat to much smaller, hidden gems like Metal Culture, The Royal Standard and Camp & Furnace. Add to this the city-wide Liverpool Biennial taking place from now until 16 October and a number of pop-up exhibitions in all manner of venues from grand hotels to backstreet bar basements it’s easy to see why Liverpool is a must visit fixture on the national and international visual arts scene. The city’s focus on visual arts has acted like a magnet to professional artists practicing today with both Merseysiders choosing to stay and work in their home town rather than moving away and artists from other parts of the UK and abroad flocking to the city to be part of the cultural melting pot that is Liverpool today. 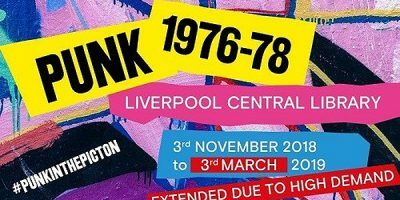 Two artists who live and work in Merseyside and with strong ties to the city are set to exhibit their work at Buy Art Fair in September in the Artists Studio. Nathan’s latest work was a commissioned piece to be used as the album cover artwork for the new Jake Bugg album ‘On My One’. Limited edition prints of the work, titled Fields of Green 2, will be available at Buy Art Fair. The paintings were also accompanied by a poem or ditty which led to 5 clues. The final clue led to a prize, to date no-one has found any.